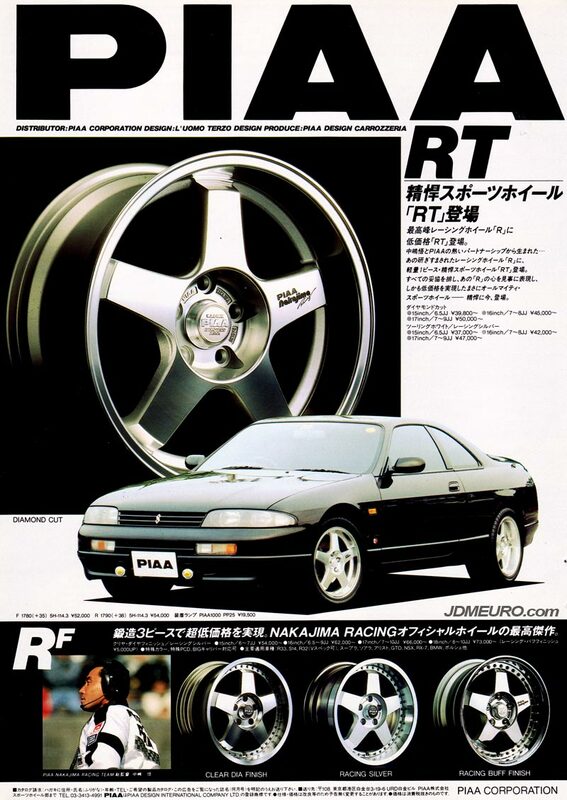 Piaa is probably most known for their aftermarket lighting systems, but they also had a line of JDM Wheels. The PIAA Nakajima Racing RT is a 5 spoke one piece wheel. The PIAA Nakajima Racing RF is similar but with 2 piece construction also with a recessed center. The PIAA Nakajima Racing Type RT and PIAA Nakajima Racing Type RF wwere manufactured in Japan by Enkei Wheels. They were available in Diamond Cut finish, Racing Silver and Racing Buff Finish aka Polished.